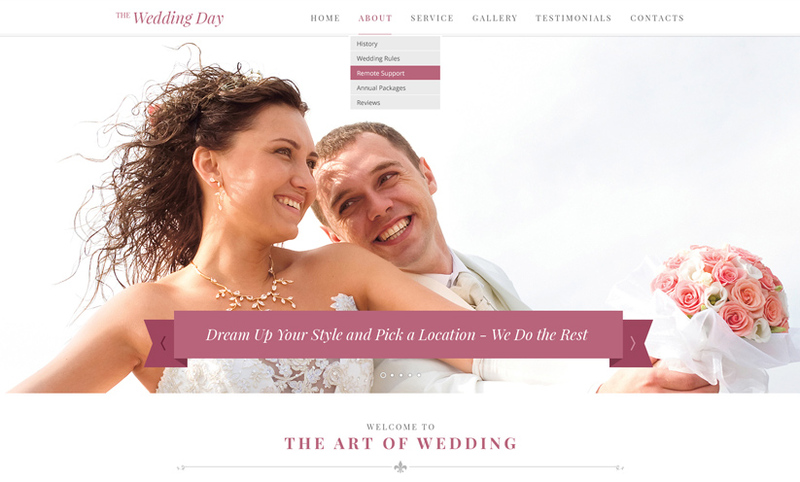 Bootstrap template was made for people who have wedding day and want to create their online wedding invitation page or for peaople who have a business or offer a service of planning weddings. 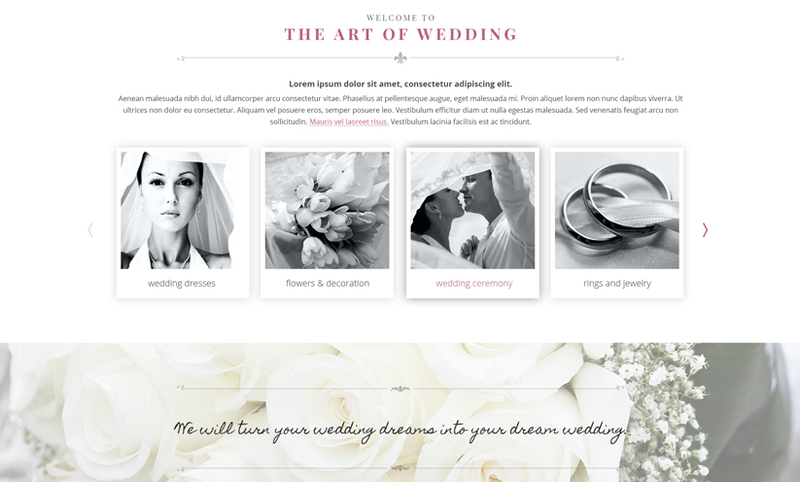 Therefore, the template includes almost all the pages that such establishment might need, for example: a page that tells about services offered, gallery page for customers who want to see previous wedding events or testimonials page, where customers are able to read about different people's opinion on the wedding. 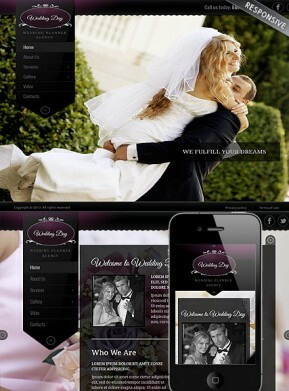 The wedding day template is responsive as it is created using Bootstrap Framework. Responsive templates tend to change design according to the device user is viewing it from. 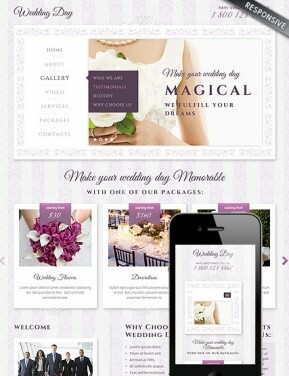 Hence, if you buy wedding bootstrap template you can be sure that customers love the design from any device! 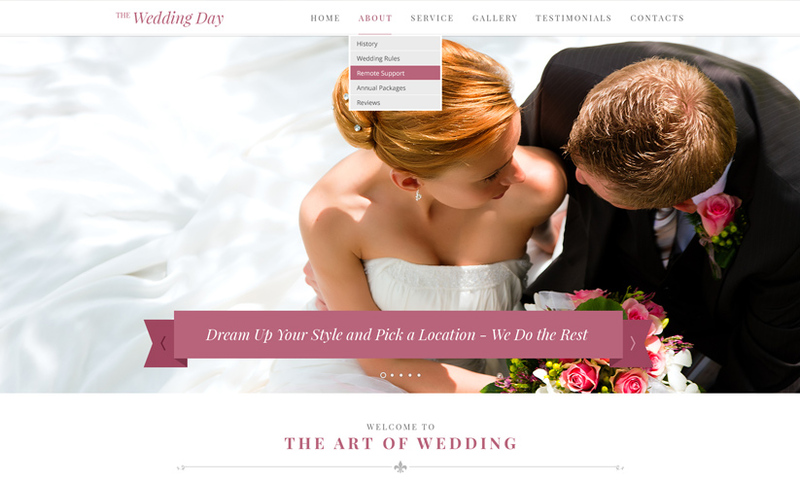 Wedding website template is very well documented, therefore you will not have to struggle for customization. However, if there is going to be any concern or question, please do not hesitate to contact our support team! They will be more than happy to assist you!